The new vessel will be deployed for coastal and offshore surveillance as well as patrol India’s exclusive economic zone. 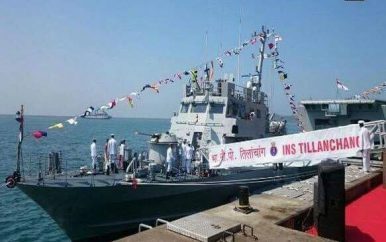 The Indian Navy has commissioned a new Car Nicobar-class high-speed offshore patrol vessel, the INS Tillanchang, at a naval base near the city of Karwar in the South Indian state of Karnataka, Indian Ministry of Defense (MOD) announced on March 9. The INS Tillanchang is the third of four improved Car Nicobar-class boats high-speed offshore patrol vessels, referred in the Indian Navy as Water Jet Fast Attack Crafts (WJFAC), to be commissioned by the service. The Indian Navy operates ten regular Niconbar-class ships commissioned from 2009 to 2011. The production of the Car Nicobar-class vessels was sped-up following the 2008 Mumbai attacks. The INS Tillanchang is the third WJFAC built by Kolkata-based shipbuilder Garden Reach Shipbuilders & Engineers (GRSE). Construction of the craft kicked off in 2013 following the conclusion of a contract with the Indian defense ministry. It was launched along with two other WJFACs in June 2015. India-China relations have broadened over the years with not a single shot fired along the disputed borders since the signing of the Peace and Tranquillity Treaty between the two sides. Military exchanges and other high level visits have become a regular affair. There is convergence of interest in several regional and international affairs. But there are many sticking points which impinge upon India’s core interests. The latest is the issue of Arunachal Pradesh and its capital Tawang, on India’s border with Tibet, which China claims as its Autonomous Region under China’s sovereignty. India endorsed this position in 2003 when Prime Minister Atal Behari Vajpayee visited China. In an interview with a Beijing based publication recently, Dai Bingguo, a former high ranking diplomat and communist party leader said, “The major reason the boundary question persists is that China’s reasonable requests (for Tawang) have not been met (by India) … if the Indian side takes care of China’s concerns on the eastern section of the border, the Chinese side will respond accordingly and address India’s concerns elsewhere”. Media reports indicate that India has agreed to attend the next session of Indus Water Commission on March 20-21 2017 to be held at Lahore. This will be the 113th session of the Commission and the meeting is being held in Pakistan this time as mandated in the Treaty. The Indian media has started reading too much into the meeting and the change of mind of India. This change is presumed to be the result of the softening of stand in Pakistan and of all things invitation to Indian Artists to the two art and cultural festivals at Karachi and Lahore is being cited as one of the reasons. Nothing could be farther from truth than this. Worse, the media has even speculated that this will pave the way for the two Prime Ministers to meet on the sidelines during the Shanghai Cooperation meeting in June this year! Before the White House responds to the Pentagon’s latest request for a troop surge in Afghanistan to counter insurgent forces that now control substantial parts of the country, it would serve administration officials well to examine the long history of deluded thinking about what could be accomplished if the United States committed more troops to the effort. In 2009, Gen. Stanley McChrystal, the new commander, painted a more dire picture, saying that failure to send reinforcements could lead to an “outcome where defeating the insurgency is no longer possible.” That warning led the Obama administration to increase the American troop presence in Afghanistan to 100,000 from less than 30,000, and embrace a nation-building and counterinsurgency strategy that was meant to turn the war around in a few years. Those efforts failed or fell well short of their aims. Afghanistan remains in the grip of a resolute insurgency and a kleptocratic, dysfunctional governing elite. 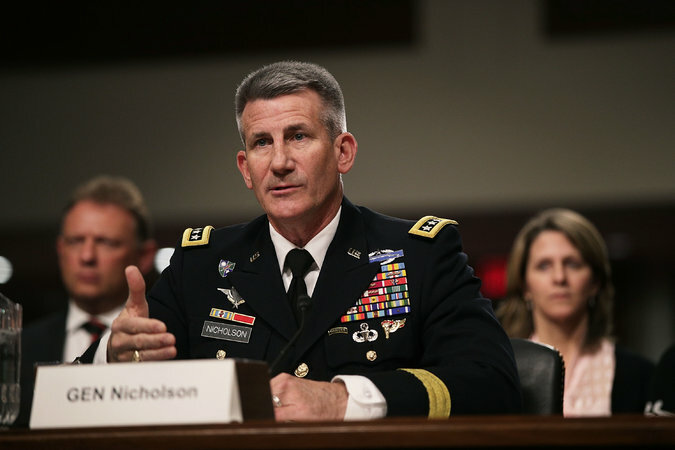 The Afghan state has been rapidly losing control of districts across the country to Taliban factions and Afghan forces are getting killed and injured at a rate American commanders call unsustainable. On March 7 and 8, Islamabad reopened its western border with Afghanistan at the Torkham and Chaman crossings. Prior to that, the border had been closed for 18 days, Pakistan’s response to terrorist attacks believed to have been planned in Afghanistan. The decision to provide a two day window was made to allow nationals of both countries who have valid visas to return home. But no trade or American and NATO forces cargo was allowed to pass. 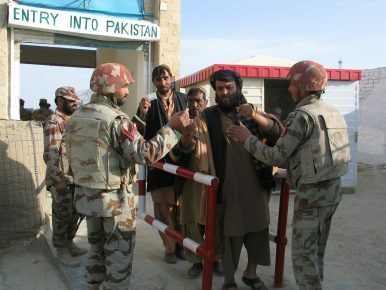 On March 9, the border closed again, part of Pakistan’s strategy to prevent further terrorist attacks. China may be afraid that THAAD will degrade its own nuclear second-strike capability. Earlier this week, hours after North Korea’s launch of a four-missile salvo into the Sea of Japan, the United States delivered and began deployment of part of the Terminal High-Altitude Area Defense (THAAD) system. “Continued provocative actions by North Korea, to include yesterday’s launch of multiple missiles, only confirm the prudence of our alliance decision last year to deploy THAAD to South Korea,” said the head of U.S. Pacific Command, Admiral Harry Harris, underlining the rationale behind the decision. For starters, let’s put to rest the misconception that China’s opposition to the THAAD deployment is because it is worried about the interceptor shooting down its missiles. As the ‘T’ indicates in THAAD, the system is only capable of intercepting projectiles in their “terminal” phase (or as they’re hurtling towards the earth in descent). Unless China would consider firing ballistic missiles at South Korea, THAAD will do no good against its missiles (say, it’s intercontinental ballistic missiles going toward the United States in a nuclear exchange). The Next U.S.-China Arms Race: Artificial Intelligence? China and the United States will likely have different ways of using artificial intelligence on the battlefield. Although China could initially only observe the advent of the Information-Technology Revolution in Military Affairs, the People’s Liberation Army might presently have a unique opportunity to take advantage of the military applications of artificial intelligence to transform warfare. When the United States first demonstrated its superiority in network-centric warfare during the first Gulf War, the PLA was forced to confront the full extent of its relative backwardness in information technology. Consequently, the PLA embarked upon an ambitious agenda of “informatization” (信息化). To date, the PLA has advanced considerably in its capability to utilize information to enhance its combat capabilities, from long-range precision strike to operations in space and cyberspace. Currently, PLA thinkers anticipate the advent of an “intelligentization Revolution in Military Affairs” that will result in a transformation from informatized ways of warfare to future “intelligentized” (智能化) warfare. For the PLA, this emerging trend heightens the imperative of keeping pace with the U.S. military’s progress in artificial intelligence, after its failure to do so in information technology. Concurrently, the PLA seeks to capitalize upon the disruptive potential of artificial intelligence to leapfrog the United States through technological and conceptual innovation. China’s first fifth-generation stealth fighter, the Chengdu J-20, has entered operational service with the People’s Liberation Army Air Force (PLAAF) in limited numbers. While the new fighter is technically operational, the J-20 must still overcome technical hurdles before it enters service in large numbers. 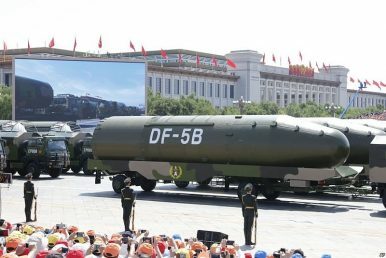 According to CCTV—China’s state television network—the J-20 participated in exercises with other People’s Liberation Army (PLA) assets including ground, air, naval and rocketry forces. However, the J-20 is only in service in very limited numbers because China is unable to mass-produce the aircraft’s indigenous WS-15 engines. Indeed, most western analysts had believed the J-20 was powered by Russian-made Salyut AL-31FN motors, but sources told the South China Morning Post (SCMP) that was not the case for production aircraft. “There are still a series of technical problems that need to be tackled [on the J-20], including the reliability of its WS-15 engines, [and the plane’s] control system, stealth coat and hull materials and infrared sensor,” a Chinese source close to the PLA told SCMP. China made the decision to operationally deploy the J-20 despite its technical problems because of the threat posed the by Lockheed Martin F-35, according to the SCMP’s source. Indeed, more of the stealth fighters are scheduled to join the PLAAF later this year. “It’s urgent for China to show off its achievements as soon as possible,” the source said. The idea of a space-based laser gun was disclosed in the journal Chinese Optics in December 2013 by three researchers, Gao Ming-hui, Zeng Yu-quang and Wang Zhi-hong. All work for the Changchun Institute for Optics, Fine Mechanics and Physics – the leading center for laser weapons technology. The role of Israel’s Prime Minister in creating an integrated national security system. Any defense doctrine must start with one basic question: what is the objective? On this there was rare agreement between two of Zionism’s founding fathers, David Ben-Gurion and Ze’ev Jabotinsky. Ben-Gurion based the defense strategy document that he submitted to the government in 1953 on Jabotinsky’s well-known “Iron Wall” essay from 1923. They both stated the basic principle that remains the cornerstone of Israeli strategy: Israel must be so strong that its enemies know in advance that they will lose any war against it. Israel’s strength must be disproportionate to the challenges it faces, and its enemies need to understand this so that they are sufficiently deterred. Any other situation will encourage our enemies — whether state actors or terrorist organizations — to test Israel’s strength. If foes try to test that strength, Israel must be strong enough to win any war or military operation, within a reasonable timeframe, while demonstrating complete superiority. The United States, feeling confident enough about its war on the totalitarian Islamic State, has upped the stakes by deploying a detachment of Marine artillery into Syria. To be sure, U.S. troops are certainly in combat in Syria, although the deployment of artillery is a step further than Special Operations Forces working with local U.S. allies in the country. Commandos often travel in smaller numbers, can move faster and do not need as much security as artillery units. But the U.S. government wants to wrap the war up as soon as possible, and the White House has apparently decided it’s willing to accept the additional risk. The Marines and their artillery are supporting the Syrian Democratic Forces, a coalition of some 50,000 Kurdish and Arab fighters advancing toward Raqqa, the Islamic State’s northeastern Syrian capital. The city could be under siege “within a few weeks,” an SDF spokesman told Reuters. Pentagon officials stated that the deployment of the troops and their 155-millimeter M-777 howitzers, summoned from the 11th Marine Expeditionary Unit, has “been in the works for sometime,” according to The Washington Post. Russia’s Sukhoi T-50 PAK-FA stealth fighter program has suffered another delay. Testing of the of the powerful new jet’s second stage engine, which was supposed to start later this year, has been pushed back to 2018. "At the moment, works are being carried out within the framework of contacts with the Russian Defense Ministry,” United Aircraft Corporation, Sergei Korotkov told the TASS news agency. “Flight tests are underway. We plan to enter the second stage of trials next year." The new engine was expected to make its first flight installed onboard the PAK-FA in the fourth quarter of 2017. "The first flight of the aircraft with the new engine is expected in the fourth quarter of 2017," a United Engine Corporation spokesman told TASS earlier in the year. The next-generation Saturn izdeliye 30—sometime referred to as the izdeliye 129—are the engines for the T-50. There are few details available about the izdeliye 30 engines, but the new powerplant is expected to deliver 24,054lbs dry thrust and 39,566lbs of afterburning thrust. On the plane trip back from a meeting in Pakistan on March 2, Turkey’s President Recep Tayyip Erdogan threatened to expand Turkey’s role in the Syrian conflict. “After the liberation of al-Bab from Daesh [ISIS] terrorists, Turkey’s new target in Syria is Manbij. Manbij is a city which belongs to Arabs, and the Syrian Democratic Forces [SDF] must also not be in Raqqa,” he told reporters, referring to ISIS by its Arabic acronym. The statement represents a challenge to American policy in Syria, and indirectly to American special forces, who are deployed with the SDF in combat operations against ISIS. Since last year, the United States has committed dozens of special operations forces to bolster Kurdish fighters and their Arab allies in eastern Syria. This is the second time Erdogan has threatened to expand Turkey’s role in Syria, which has been aiding mostly Sunni Arab rebel forces that oppose the regime of Bashar al-Assad. Before leaving for Pakistan he also threatened the Kurds, saying Turkey would move towards Manbij. His comments came after Turkey’s Daily Sabah claimed on February 25 that Gen. Joseph Votel, commander of U.S. Central Command, made a “secret trip to northern Syria.” Votel also told U.S. reporters that he was “very concerned about maintaining momentum in Syria” and that “it could be that we take on a larger burden ourselves.” Read between the lines, and this means more U.S. ground troops. Americans have already upped the tempo in Iraq’s Mosul offensive, moving troops closer to the front than at any time during the two-year war on ISIS. Late last month, after a preliminary thirty-day review of the U.S. war strategy against the Islamic State, the Pentagon delivered its list of options to the White House per President Donald Trump’s order. The details that have been leaked out in drips over the past week portray a Trump administration that is prepared to continue its predecessor's counter-ISIS strategy, but with far more resources to do the job. 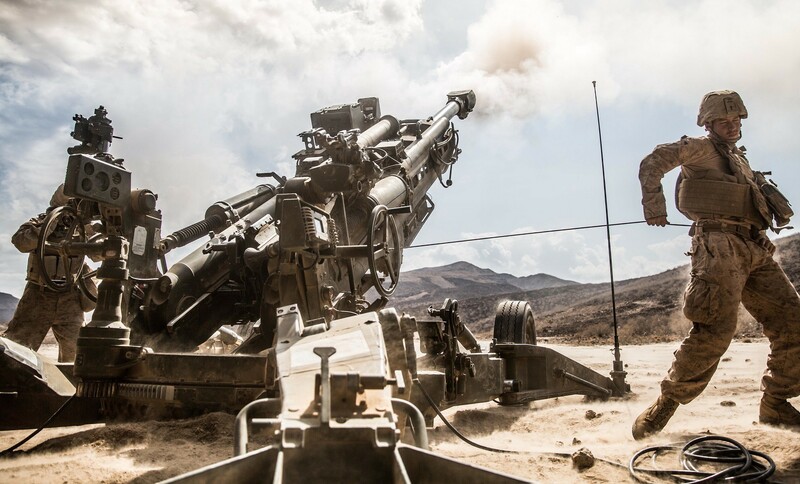 A Marine artillery unit is setting up shop about twenty-miles south of Raqqa with the purpose of providing covering fire for the Syrian Democratic Forces slowly pushing towards the city. An additional four hundred U.S. troops will be deployed to Syria to accelerate the campaign and tighten the noose around ISIS’s neck, a deployment that would almost double the current U.S. troop presence in the country. All of these decisions could be seen a mile away; as a presidential candidate, Donald Trump made no bones about wiping Islamic terrorism from the face of the earth, even if doing so is impossible from a practical standpoint. On March 1, 2017, the Bulletin of the Atomic Scientists released a major scoop that has extremely worrisome implications for U.S.-Russian relations and the risk of nuclear war. The story, by Hans Kristensen, Matthew McKinzie and Theodore Postol, concerns a new technical capability called “super-fuzing” that dramatically increases the lethality of the United States’ submarine-launched nuclear weapons. Much of the report is given over to technical descriptions, but the gist of the story is this — the W76–1 naval warhead is now three times as lethal as before, and this massive expansion of kill capability makes it look like the United States is preparing for a decapitating nuclear attack. Now obviously the United States is not actually planning to do this, nor can it be confident an all-out assault would “succeed.” But technologically, a preemptive strike on Russia now appears feasible — and that’s what matters. In the world of deterrence, perception is everything — and if the Russians come to question our intentions, especially in a moment of crisis, the results could be catastrophic. Super-fuzing, far from keeping the United States safe, threatens to undermine the strategic stability that keeps nuclear war at bay. Even as the president affirmed the historic bonds uniting the transatlantic community, no words can paper over Trump’s infamously skeptical attitude toward allies in general and NATO in particular. Of all the heterodox statements Trump made over the course of the campaign, transition, and his first weeks in the White House, two continue to reverberate in European capitals: first, his assertion that NATO is “obsolete” and, second, the contention that the U.S. commitment to Article 5 — NATO’s security guarantee — could be conditional upon a distressed ally’s defense spending. Even if these statements were intended as empty rhetoric, they directly undermined the credibility of America’s alliance commitments. In Trump’s mind, it seems this uncertainty is a positive: If, as he believes, the paramount challenge is negotiating a better deal with NATO, then calling the American commitment into question is a surefire way to make allies feel insecure enough to increase military spending. WASHINGTON — If this week’s WikiLeaks document dump is genuine, it includes a CIA list of the many and varied ways the electronic device in your hand, in your car, and in your home can be used to hack your life. 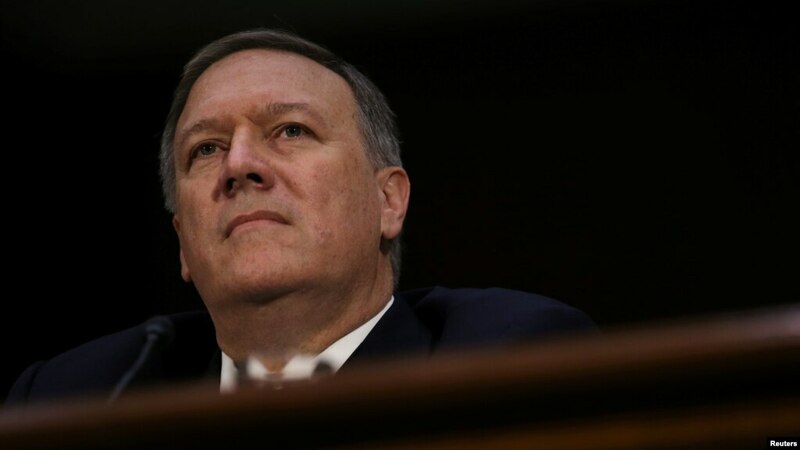 The CIA has refused to confirm the authenticity of the documents, which allege the agency has the tools to hack into smartphones and some televisions, allowing it to remotely spy on people through microphones on the devices. WikiLeaks also claimed the CIA managed to compromise both Apple and Android smartphones, allowing their officers to bypass the encryption on popular services such as Signal, WhatsApp and Telegram. In the name of resiliency and agility within the space domain, the Air Force is looking toward allowing contractors to fly satellites. For years, while the Air Force has been focused on command and control of these assets — essentially making the trains run on time — the job of the force now is to understand the threat environment and be able to react to it, according to Maj. Gen. David Thompson, vice commander of Air Force Space Command. Given that the Air Force will not get more uniformed or civilian airmen to perform this mission, the service will increasingly look to bring commercial and contract operators online to perform the day-to-day and routine flying and operating of its satellite constellations, Thompson said March 8 at the Satellite 2017 conference in Washington. This new support will help the military focus on other responsibilities, he added. Thompson said there is an initiative underway focused on wideband global satellite communications for which the service is about to complete a request for proposals to industry for putting contractors in the seats of military and civilian operators currently on the operations floor at Schriever Air Force Base. This should occur, he said, over the next year. Though questions remain regarding various nuances of the rule, the update is a helpful document for those contractors still working on its implementation. Divided into three sections — General Application, Security Requirements and Cloud Computing — the update provides answers to 59 commonly asked questions and provides greater clarity on a number of important points. As the department has now issued multiple versions of this rule over the last several years, some imposing different security standards, vendors may have contracts that require different and conflicting security requirements on the same internal networks. The FAQ acknowledges this reality and informs contractors that the department has instructed its contracting officers to work through these issues with contractors, with the goal of working toward consistent implementation of the most recent version of the DFARS clause. Contractors with older versions of the rule in their contracts are therefore well advised to engage their contracting officers and work toward a modification of outdated security requirements. In 2005, Panda Software reported that a new strain of malware was discovered every 12 minutes. In 2016, the cybersecurity companyMCAFEE says it found four every second. And those were just the strains the companies could detect. For malware—the umbrella term for parasitic software like viruses, worms, and Trojans that infiltrate and interfere with computer functions—hasn’t only proliferated: It’s evolved to better evade detection. Faced with this tsunami of sophisticated malware, antivirus software like McAfee, once practically synonymous with personal cybersecurity, has struggled to keep pace. In 2014, a senior vice president at Symantec (the company that created McAfee competitor Norton Antivirus) went so far as to publicly say he thought that antivirus software was “dead.” At the time, he estimated that the technology only caught about 45 percent of cyberattacks. Antivirus software is struggling to keep up because the primary strategy on which it relies—signature detection—is based on the outdated assumption that the malware you saw yesterday will look the same today. Generally speaking, when a cybersecurity company sees a new type of malware, it will analyze and create a detection signature for that specific strain. Like the immune system recognizing a pathogen it has seen before, antivirus software uses these signatures to scan files for known threats. This strategy worked reasonably well when viruses were mostly made by amateur hackers. But in 2003, according to McAfee, we saw the first real for-profit malware and since then, the growth of organized cybercrime has brought forth a series of innovations that allow malware to rapidly change its appearance. If the viruses of the early 2000s were the common cold, sophisticated malware of today is like HIV, able to change its protein coatings to avoid detection. Think about everything that lives on your phone: personal messages and emails, photos of your friends and family, social media posts, phone numbers, maybe work emails or dating apps. And then there’s your search history and bookmarks, location history, passwords, calendar, call logs … basically, your entire life. Your phone is designed to invisibly communicate everywhere, all the time, with a number of different infrastructures, and it’s this functionality that enables you to make calls, send messages, and use the internet while on the move. It’s also what makes your phone a fundamentally insecure device. Still, there are lots of small things you can do to mitigate your security risks. In a few minutes you can, for example, make it near impossible for anyone to get into your phone if you lose it or if it’s stolen. And in less than an hour, you can drastically reduce the dust storm of personal information that’s constantly being vacuumed up by corporations and institutions through your phone. The nine points below give you some key things to start with. Some are simply technical, but others involve changing habits and making choices: What are the trade-offs involved? What works best for you and your own situation? President Donald Trump’s nominee to be the nation’s top spy chief, former GOP Sen. Dan Coats, said cyberwar will be one of the top threats facing the U.S. in the years to come, along with terrorism. During a hearing before the Senate Intelligence Committee on Feb. 28, Coats said he’s strong enough to stand up to any political interference from those seeking intelligence to back national security policy decisions, as well as a president who won’t always want to hear what his intelligence officials have to say. “Given the situation that we are facing worldwide … we don’t have time just to be the nice guy,” Coats said. The Australian Prime Minister, Malcolm Turnbull, recently warned that all Australians should be concerned about the threat of a cyber-attack. Mr Turnbull described cyber warfare as the new frontier, with families, governments and businesses equally at risk. From a public perspective, there is a greater expectation placed on the government to ensure that the networks used by their citizens (to provide sensitive information) are secure and protected from cyber-attacks. Similarly, national security remains a critical requirement for governments. The Prime Minister is right to declare cyber warfare as the new frontier; especially for governments. An increased focus by hackers on Governments was reported by Radware in its 2015-2016 Global Application & Network Security Report. Those findings have been substantiated in Radware’s recently released 2016–2017 report. The report found that there had been a significant increase in attacks against governmental institutions bringing a new level of politically affiliated cyber protests. While the U.S. presidential election was in the spotlight, the media reported on a different breach almost weekly. Australia was not immune with attacks on Australian Government agencies also being reported across the globe. The Army is coming to grips with the notion that with a rapidly changing world and threat environment, intelligence must adapt in kind. The Army is taking direct aim at intelligence practices with major revisions to the publication of Training and Doctrine Command’s “ U.S. Army Functional Concept of Intelligence 2020-2040,” dated for February 2017. The document is a revision to the previous iteration published in 2010 that covered an applicability period from 2016-2028.